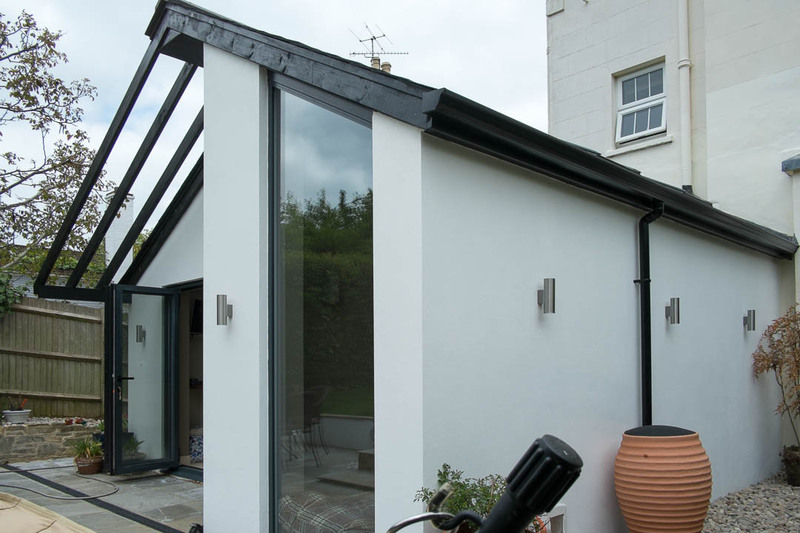 Our client asked us to replace the ageing conservatory on this large family home, creating an equally well-lit space of interesting, contemporary design. 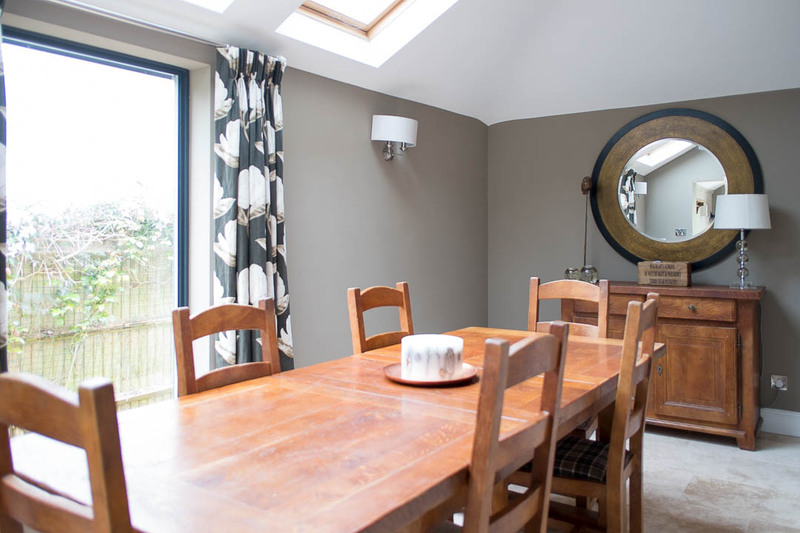 They also needed some internal alterations, to create a new ensuite and dressing areas on the first floor, and some improvements in the basement. 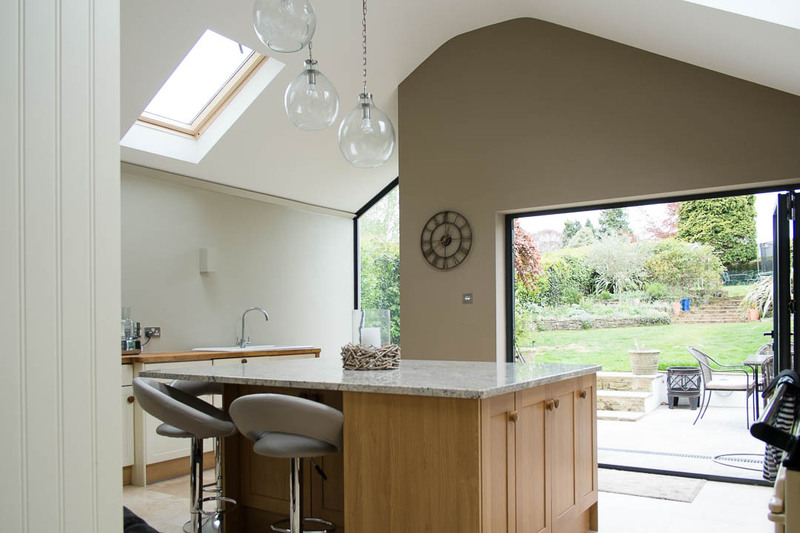 We designed a new conservatory with a vaulted roof, set with rooflights to maximise daylight. 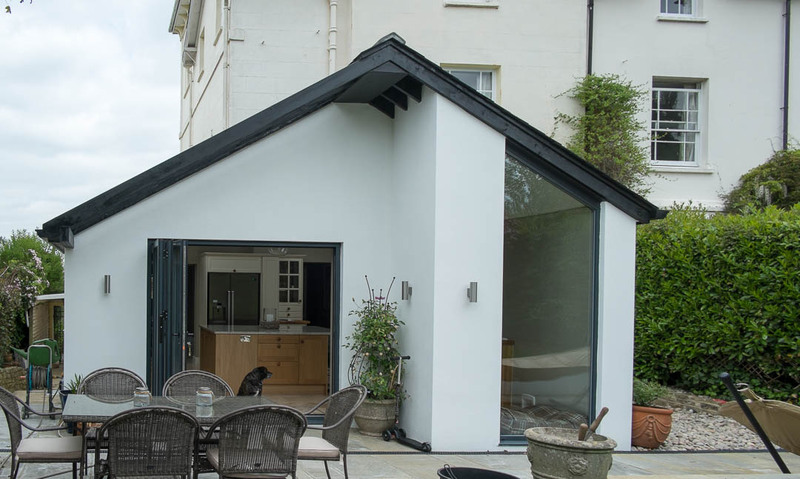 The extension is rendered, responding to the existing ashlar render on the house. 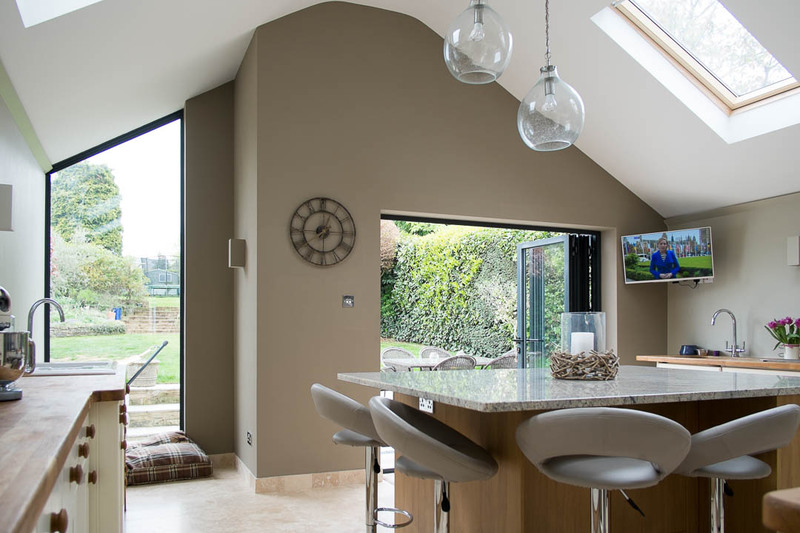 Sliding doors at the rear give access to the extended terrace, with shading from a timber brise soleil that prevents overheating in the summer.